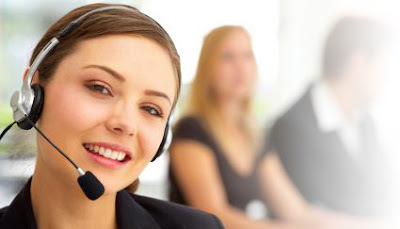 Answering the phone in a professional manner is monumental to good business practice. The person answering the phone may be the only contact that the caller has with our business. So, please read carefully the below article and try to apply it for all our phone calls to be more professional. 1. Have good manners and be courteous. Be interested in the caller and meet their needs. Always seem interested in what they have to say. Directing someone to call back or acting hurried is very frustrating to callers. Make sure to say “please” and “thank you”. If you do not know someone personally it may be appropriate to use Mr. and Ms. to address the caller. 2. Answer the phone right away. It may not be the most convenient time for you, but always answer promptly and take a message if necessary. Customers will call competitors if they can’t get the information they need from your business. 3. Answer with the company name. This lets the caller know that they have the right number and it sounds professional. 5. Do not give out personal information about yourself or coworkers. Personal information should be kept confidential. Keep the conversation centered on the caller and their needs. Never let anyone know if a coworker is out of town. 6. Do not let the caller know if the person they are calling for has come in late or left the office early. It is ok to tell white lies and say that someone is “working out of the office”, “not available at the moment”, or “at a meeting”. There may be plenty of good reasons for someone to not be in the office, but these reasons construct a good work ethic. You do not want customers to think that your business takes it easy or uses work time for personal errands. 7. When possible serve customers in person before answering the phone. If you have customers present in the office, it is important to serve or acknowledge them before answering the phone. You may take a message and then return the call later. You must balance the needs of all customers in any situation. 1. Make sure of the correct number so as not to risk disturbing strangers. 2. Make sure that your conversations with busy people are as brief as possible. 3. Time your calls so as not to interfere with the work schedule of those you call. 4. Make business calls well before the close of the office hours. 5. When the number you are calling is not answered quickly, wait long enough for someone to put aside what he or she is doing. It is very annoying to have been disturbed just to pick up the telephone and find the caller has hung up. · Phone calls generally should not be made before 7:00 in the morning or after 9:30/10:00 at night. Try to avoid mealtimes. · A person should always be certain of the number he is dialing to avoid disturbing someone unnecessarily. If you do reach a wrong number, it is important to say "I'm sorry, I dialed the wrong number." before hanging up. · After someone answers the phone, the caller should give his or her name before asking for the person desired. · When you talk on the telephone, remember: your voice quality & express yourself clearly and concisely. · The person at the other end of the phone cannot see your facial expressions or gestures and the impression he receives depends on what she hears. The telephone carries your voice at its natural volume and pitch. Try not to shout but speak clearly and distinctly. · Treat the call as if it were a meeting, have a purpose, and an agenda. · Decide what you'll do if someone answers other than the person you're calling. Would you prefer to leave a message, go to voice mail, or call back later? · If you're on a scheduled call, be at your desk at the appointed time. · Learn how to use the "do not disturb" function on your phone, or lower the ringer if you to have a meeting in your office that you don't want to interrupt. A ringing telephone can create quite a disturbance in a sensitive meeting. Also, if you want to focus on a particular project - say you've got a deadline and you're not expecting any important calls - you can disable your ringer so that your calls go straight to voice mail. · If you made the call, it is your responsibility to end the call. · Never slam the phone. · If you use the speakerphone, tell the recipient so immediately. · Never eat, cough or clear your throat on the phone. At the end of each call, thank your caller or the person you called for his or her time, and hang up with a pleasant goodbye.